Although Casablanca (1942) has been called “everyone’s favorite émigré film,” in the memorable formulation by Thomas Elsaesser, rarely is it discussed in this vein. Drawing on research undertaken for his recent book, Isenberg seeks to refocus attention on the dozens of refugees at work on both sides of the camera, on the strangely evocative if also veiled commentary on historical events, and on the furtive references to Jews and other targets of Nazi persecution. One of the most cherished love stories and wartime dramas of the studio era may also be seen as one of the earliest and most successful films to address the menace of National Socialism, the flight of European refugees, and the personal stories embodied in even the most minor characters portrayed on screen. The timeless masterpiece CASABLANCA may be Hollywood’s most prized gem. Legendary performances from Humphrey Bogart and Ingrid Bergman and an endlessly quotable script, (“Here’s looking at you, kid”), exemplify just what made the golden age of Hollywood special. With a mix of suspense and romance, CASABLANCA tells the story of a nightclub owner in Morocco who reunites with a former lover as she attempts to find safe passage to America during World War 2. And now, you can experience Rick’s Place anew as The Avalon Theatre brings the film back to the big screen for one-night only. The Avalon’s spring benefit on May 6th will celebrate CASABLANCA with a night of food, film, and conversation. The evening begins with a catered reception at 5 pm and is followed by a screening of the movie in the historic Avalon 1 theatre at 7 pm. Then, you’ll want to stay with us for a conversation between host Susan Stamberg and author Noah Isenberg. 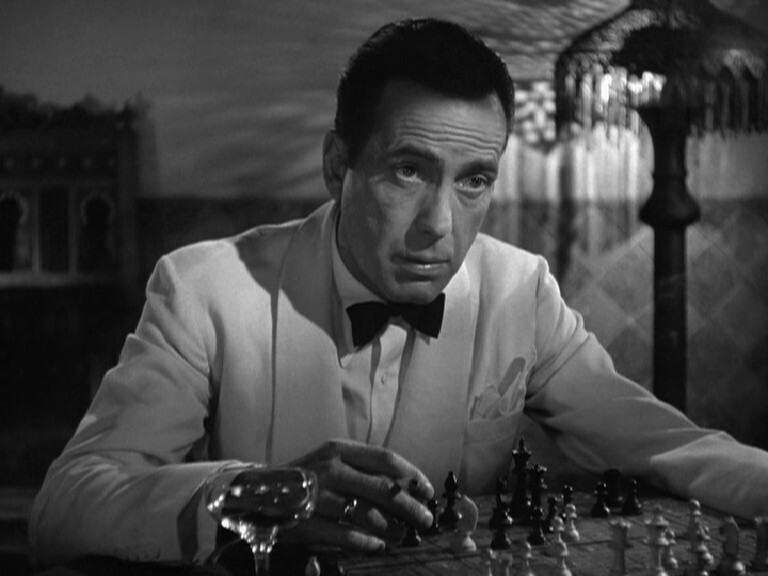 Isenberg’s recent book, We’ll Always Have Casablanca: The Life, Legend and Afterlife of Hollywood’s Most Beloved Movie, explains why nearly eight decades later, the film’s legend only continues to grow. Join us for this special opportunity to support great cinema in DC’s only non-profit film-center, the Avalon Theatre. Signed copies of Isenberg’s book are also available for purchase. Proceeds from this year’s event will support the Avalon Theatre’s film education programs and general operating purposes. People of the Book, meet your match: a day filled with Jewish storytelling and storytellers—more than 50 in all—some you already know and love, others you’ll be thrilled to discover. Listen to and meet authors whose work reflects the dazzling diversity of the Jewish book world, from crime to Yiddish culture, Jewish cooking to historical fiction and serious biographies. To make sure that the next generation learns to embrace our reading tradition, we’ve arranged a special kids’ corner with Jewish storytellers, live music and special activities. And you won’t want to go home without visiting our pop-up bookstore, where you may choose from an exciting array of hundreds of titles to add to your Jewish home library. THE NEXT 5,000 YEARS OF CONVERSATION BEGINS HERE! 1942. USA. Dir: Michael Curtiz. With Ingrid Bergman. 102 min. 35mm print. An old-fashioned "night at the movies," complete with vintage trailers, newsreel, and cartoon. Of all the bars in all the towns in all the world, Bergman had to walk into Bogart’s, with a French resistance leader on her arm and the Nazis on their tail. Beyond the gorgeous cinematography and the quotable screenplay, this film tells an intimate story about the struggle of moving on from lost love that remains stirring 75 years after release. Panel to follow, featuring Jeanine Basinger, Founder of the Wesleyan Cinema Archives, and Noah Isenberg, Professor of Culture and Media at Eugene Lang College of Liberal Arts. Don't forget to visit the exhibit "As Time Goes By... 75 Years of Casablanca" in the Rick Nicita Gallery. We’ll Always Have Casablanca – A Conversation with Author Noah Isenberg, and a film screening of Casablanca, followed by a Moroccan dinner ala Rick’s Café. Through extensive interviews with filmmakers, film critics, family members of the cast and crew, celebrated film historian Noah Isenberg reveals many backstory secrets about one of the most beloved films of time, including the central role that Jewish refugees from Hitler’s Europe played in its creation. DCP projection – 75th Anniversary digital restoration! Join us for a special screening of Michael Curtiz’s American wartime classic CASABLANCA, followed by a conversation with Meredith Hindley, author of the new history Destination Casablanca: Exile, Espionage, and the Battle for North Africa in World War II (Hachette, 2017), and film historian and New School professor Noah Isenberg, author of We’ll Always Have Casablanca: The Life, Legend, and Afterlife of Hollywood’s Most Beloved Movie (W.W. Norton, 2017). “In November 1942, as a part of Operation Torch, 33,000 American soldiers sailed undetected across the Atlantic and stormed the beaches of French Morocco. Seventy-four hours later, the Americans controlled the country and one of the most valuable wartime ports: Casablanca. Celebrated film historian Noah Isenberg provides an account of this beloved movie's origins. Through extensive research and interviews with filmmakers, film critics, family members, cast and crew, and diehard fans, he reveals the myths and realities behind Casablanca's production. Few films have inspired as much devotion in their viewers as Casablanca. With more revival screenings than any other film in the history of cinema and countless fans of all ages who have returned to it dozens – or even hundreds – of times, it is clear that, as time goes by, Casablanca remains as relevant as ever. Just in time for its 75th anniversary, join us for an unparalleled celebration of the film with an interactive talk by PJFF alumnus Noah Isenberg, author of We’ll Always Have Casablanca: The Life, Legend, and Afterlife of Hollywood’s Most Beloved Movie. This fascinating exploration of the Academy Award-winning film’s resonance through popular—and political—culture over the decades will be available for purchase at the National Museum of American Jewish History after the talk or may be purchased in advance at PJFF.org. The name Casablanca conjures up images of Humphrey Bogart, Ingrid Bergman, romance, adventure, and old-school glamour. Just as deserving of our attention is the charged political current that courses through the film, giving us “La Marseillaise” and that iconic parting on the tarmac. Viewers may be shocked to find that the inspiration for Everybody Comes to Rick’s, the play that would soon become Casablanca, was playwright Murray Burnett’s urgent desire to warn his contemporaries that good people would need to take a stand to stop the encroaching threat of fascism. Professor Noah Isenberg, Director of Screen Studies at The New School in New York City, will thrill devotees of the film with anecdotes about the on-set hijinks, grudges, rewrites, and censorship that threatened to compromise the film’s iconic story and most memorable lines. Meanwhile, Isenberg’s electrifying overview of the political context of the film and its reverberations throughout modern history will appeal to believers in the power of art to transform hearts and minds. Professor Noah Isenberg’s presentation will include film clips from Casablanca. What if “Casablanca” had been called “Burbank” instead? It could have been. The entire movie was filmed in the California city named for its dentist founder. “Casablanca” is beloved, it’s iconic, it’s usually listed as one of the greatest films ever made. It’s also filled with surprises and has much to say about life both in wartime and today. Join us for this informative and entertaining evening in commemoration of the 75th anniversaries of the release of the film Casablanca and the founding of the Bronxville Adult School. Few films have inspired as much devotion in their viewers as Casablanca. With more revival screenings than any other film in the history of cinema and countless fans of all ages, who have returned to it dozens—even hundreds—of times, Casablanca remains as relevant as ever. Just in time for the film’s 75th anniversary, Noah Isenberg’s book We’ll Always Have Casablanca offers a fascinating exploration of the film’s resonance through popular and political culture over the decades. Author Noah Isenberg, director of screen studies at The New School, will thrill devotees of the film with anecdotes about the hilarious on-set hi-jinks, grudges, rewrites, and censorship that threatened to compromise the film’s iconic story. Registration Required. Register here or call 914.793.4435. Join us for this beautiful classic on our big screen to celebrate our spring membership campaign! Morocco, 1941. Rick's Cafe in Casablanca is owned by American ex-pat Rick Blaine (Humphrey Bogart) and is a haven for refugees desiring to flee to the U.S.A. The arrival of a former lover (Ingrid Bergman) and her anti-facist husband (Paul Henreid) provide the cynical, hard-nosed Rick with some inner turmoil. Colorful characters (played by Claude Rains, Peter Lorre, Sidney Greenstreet and Conrad Veidt) abound in this legendary 75-year-old classic which contains dialogue that has become an integral part of our vocabulary. Our special 75th Anniversary Screening will include an intro by Noah Isenberg, author of We'll Always Have Casablanca: The Life, Legend, and Afterlife of Hollywood's Most Beloved Movie, who will sign copies of his book after the screening. Books for sale at the screening from Gibson's Bookstore. For more information and to buy tickets, please click the photo. Join Phinney Books, and everybody else at Rick's, for a visit from former Seattleite Noah Isenberg, currently the Director of Screen Studies and Professor of Culture and Media at the New School in New York City, for a discussion of his new book, We'll Always Have Casablanca: The Life, Legend, and Afterlife of Hollywood's Most Beloved Movie. Screening and discussion. More information coming soon! This illustrated talk tells the incredible story of how Casablanca was made and why it remains the most beloved of Hollywood films. Free and open to the public, first come, first service. Please click the photo for more information. Casablanca is one of classical Hollywood's greatest romances, but its underlying story concerns the plight of European refugees, an unusually timely, urgent theme for today. This event, which focuses on the refugee theme of the film, includes a screening of Casablanca and a conversation with Noah Isenberg, Lang professor of Culture and Media and author of We’ll Always Have Casablanca: The Life, Legend, and Afterlife of Hollywood’s Most Beloved Movie (Norton, 2017), and Alexander Aleinikoff, director of the Zolberg Institute on Migration and Mobility at The New School. Moderated by A.O. Scott of The New York Times. Click the photo for a link to the event page. Presented by the Department of Culture and Media at Eugene Lang College of Liberal Arts, the Zolberg Institute on Migration and Mobility, and the Department of Liberal Studies at The New School for Social Research. Noah Isenberg will be discussing We'll Always Have Casablanca in conversation with author Glenn Frankel. There will be a book signing afterward. This is a free event. Click the photo for more information. Reading and conversation with Monika Henreid, daughter of actor Paul Henreid (Victor Laszlo). Click on the photo for more information. Warwick's bookshop will host Noah Isenberg to discuss and sign his book We'll Always Have Casablanca. This is a free event. Click on the photo for more information. A screening of Casablanca followed by a conversation between Noah Isenberg and film critic J. Hoberman. The evening is co-sponsored by the Deutsches Haus at NYU and the New York Institute for the Humanities at NYU. This event is free. Click the photo for more information. Valentine's Day book launch! A conversation about love and romance in Casablanca featuring Noah Isenberg and film critic Molly Haskell. Click the photo for more information. The Harvard Book Store welcomes The New School's director of screen studies and professor of culture and media Noah Isenberg—author of Edgar G. Ulmer: A Filmmaker at the Margins—for a discussion of his latest book, We'll Always Have Casablanca: The Life, Legend, and Afterlife of Hollywood's Most Beloved Movie. The event will include a book signing. Click the photo for more information. Although the legendary, award-winning Hollywood picture Casablanca (1942) has been dubbed “everyone’s favorite émigré film” and “the best refugee film of the war years,” rarely is it discussed in this vein. One of the all-time most cherished love stories and wartime dramas of the studio era may also be seen as one of the earliest and most successful feature films to address the menace of National Socialism, the flight of European refugees, and the personal stories embodied in even the most minor characters portrayed on screen. Hosted by the University of Pennsylvania's Cinema Studies program. Click the photo for more information. Noah Isenberg, author of We’ll Always Have ‘Casablanca’: The Life, Legend, and Afterlife of Hollywood’s Most Beloved Movie, will introduce the 7:00 show on Thursday, December 29. Isenberg is Professor of Culture and Media at the New School, where he also directs the Screen Studies program. The author, most recently, of Edgar G. Ulmer: A Filmmaker at the Margins (California, 2014), which the New York Times hailed as “a page turner of a biography.” His other books include Detour (British Film Institute, 2008) and Weimar Cinema: An Essential Guide to Classic Films of the Era (Columbia, 2009). He serves as book review editor of Film Quarterly, is a fellow of the New York Institute for the Humanities, and received a 2015-2016 NEH Public Scholar award.